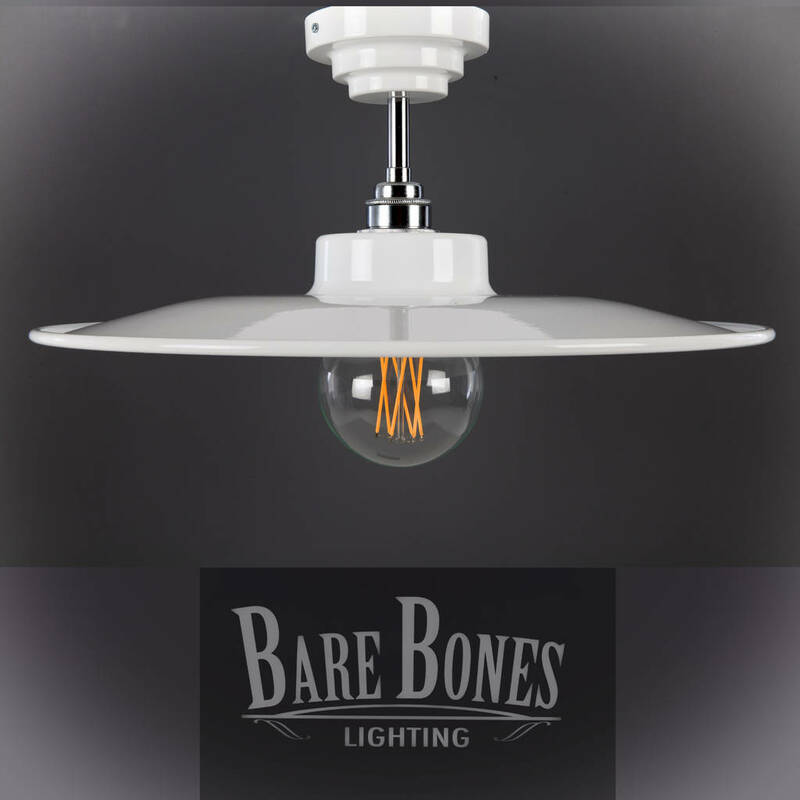 Exclusive to Bare Bones Lighting, this industrial pendant is designed and handspun in the Midlands by a spinner with over 30 years industry experience. Apportioning a greater radius of light, this shade works particularly well over breakfast bars and kitchen islands. 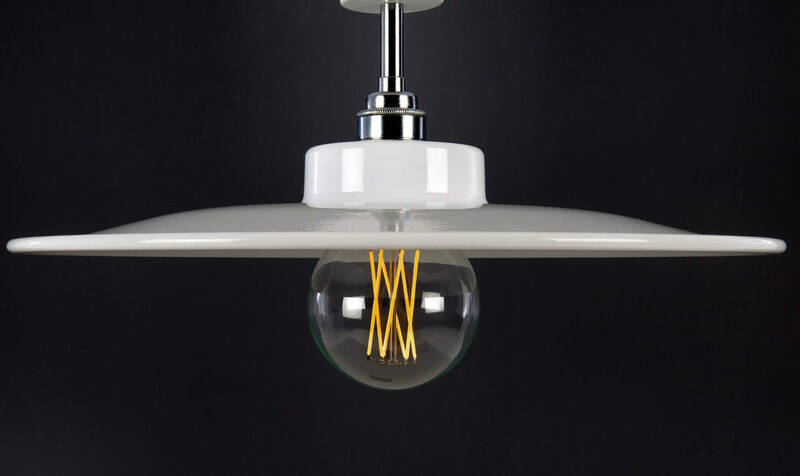 Each pendant comes with a single outlet white ceiling rose, and white shade , a high quality E27 lamp holder and finished with matching cord grips on both the shade and ceiling rose to complete the look. Please be advised that a bulb is not included with this light. For the purposes of our photographs, an LED E27 bulb was used, but we suggest you use a bulb of no more than 25 with this shade. High grade quality steel and finished with finite quality fittings. 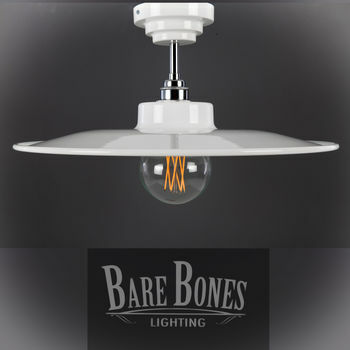 This product is dispatched to you by BARE BONES LIGHTING.